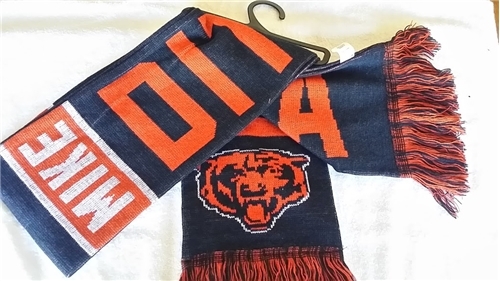 Officially licensed NFL Team logo 60" knit scarf. Team name and logo are knit into the scarf on both sides with team color fringe. Approximately 60" long by 7" wide. 100% Acrylic.